The decision-makers frequently provide us with all kinds of rules and regulations on how we organise agriculture, the forests and land. But very few of them are interested in the consequences of policies drafted at Community or national level for those who actually work in the sector. 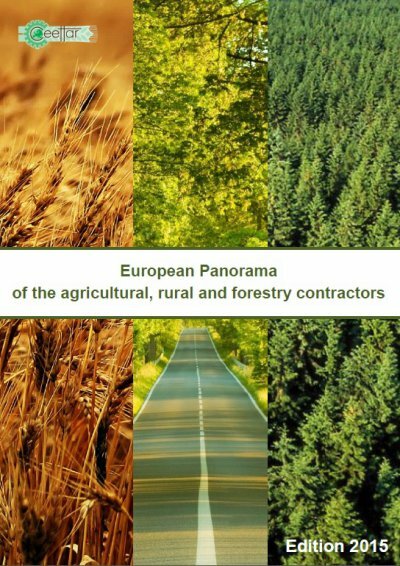 Similarly, few people realise that, almost throughout Europe, agricultural, rural and forestry contractors are not just another group of people that contribute to agriculture, forestry and economic life in rural areas. They have become indispensable: farmers and forest owners are very often unable to complete the work carried out by contractors, as they are not in a position to invest in the necessary equipment or handle the available technology in the appropriate manner. For several years, the development of CEETTAR as a representative organisation and recognised partner for the European institutions has gained pace. CEETTAR and ENFE, the European organisation of forestry contractors, decided to merge on 1 January 2015, in order to join forces and share expertise. By providing services for farmers, landowners and the rural communities, contractors really do help to meet many of societyÃ¢â‚¬â„¢s needs, including the supply of food products and wood as a primary material for use in construction, as well as energy, the paper industry, rural development and maintenance of natural areas. It is therefore time for us to shed some light on contractors and what they do. This is the aim of the first edition of this European guide. We hope that this guide will gradually become a reference work, which will be updated regularly, so that becomes even richer in terms of content and relevance. In the meantime, we hope that you will find it informative.